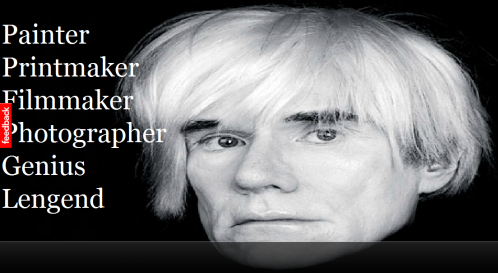 iJourney allows you to create a time-centered digital story like this great biography of Andy Warhol posted on the site. iJourney presents timeline events as a slideshow. While you won’t see the entire timeline at a glance, iJourney gives you more content flexibility. At any point on a timeline, you can add multiple text elements, notes, videos, images, links, and doodles. Additionally, you have control of which elements are private, shared with friends, or public. So for any given day, you can make a subset of elements public, share other elements only with friends, and keep other elements completely private. The image below shows your options for image posting. 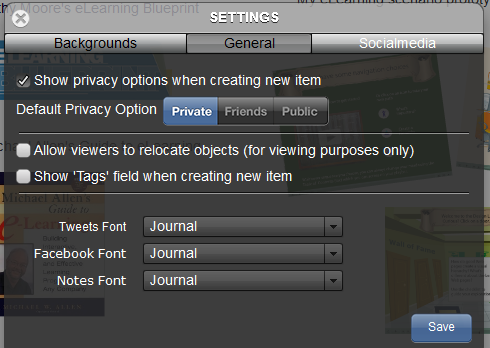 Use “Settings” to set default privacy settings which you can adjust for each item you add to your timeline. 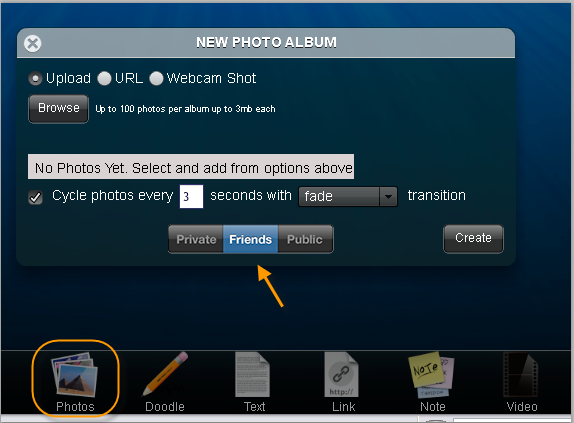 Using the “Settings” tool, you can also connect your journey to social media sites including: Twitter, Facebook, Flickr, Vimeo, and YouTube. When you’re done, you can share your journey. As an instructor, you can also use the platform for many of the same purposes. Because you can add links, you can connect students to forums, chat rooms, quiz questions, etc. Additionally, you can use iJourney to create a time-centered webquest.